A Takagi-Sugeno (T-S) fuzzy model is applied to approximate the nonlinear dynamics of stochastic distribution control (SDC) systems, in which linear radial basis function (RBF) neural network is adopted to approximate the output probability density function (PDF) of non-Gaussian SDC systems. Considering the situation that fault may occur, a fuzzy adaptive fault diagnosis observer is designed to estimate the fault value. Besides, the Lyapunov stability theory is used to analyse the stability of the observation error system. Based on the fault estimation information and model predictive control (MPC) algorithm, the active fault tolerant control strategy is given. 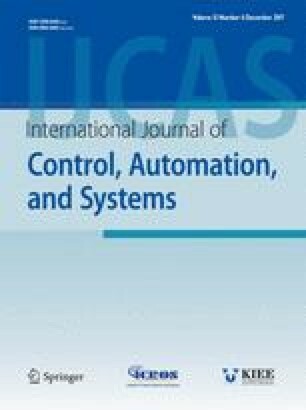 Finally, a simulation example is given to verify the effectiveness of the proposed control algorithm. Recommended by Associate Editor Myung Geun Chun under the direction of Editor Hamid Reza Karimi. This work was supported by Chinese NSFC grant 61374128, State Key Laboratory of Synthetical Automation for Process Industries, the Science and Technology Innovation Talents 14HASTIT040 in Colleges and Universities in Henan Province, China and Excellent Young Scientist Development Fundation 1421319086 of Zhengzhou University. Lina Yao received the Ph.D. degree in control theory and control engineering from the Institute of Automation, Chinese Academy of Sciences, Beijing, China, in 2006. From September 2007 to March 2008, she was Research Fellow in University of Science and Technology of Lille, France. She is currently Professor in School of Electrical Engineering, Zhengzhou University, China. Her research interests include fault diagnosis and fault tolerant control of dynamic systems, stochastic distribution control and their applications. Yanna Zhang received the Bachelor degree in automation from Zhengzhou University of Electrical Engineering in 2014. Currently, she is a postgraduate in School of Electrical Engineering, Zhengzhou University. Her research interest is in fault diagnosis and fault tolerant control for stochastic distribution systems.